The Baltic Queen chess tournament has begun in St. Petersburg with a strong participation. 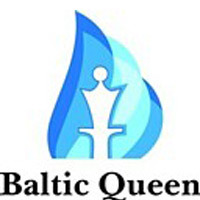 Ten women, all GMs and WGMs, will compete for the crown of the Baltic chess tournament 2009. Top seeded is the Swedish GM Pia Cramling, followed by GM Ketevan Arakhamia-Grant and WGM Elisabeth Paehtz. They will be joined by WGM Viktorija Cmilyte, WGM Natalia Zhukova, WGM Ekaterina Atalik, GM Zhaoqin Peng, WGM Anastasia Bodnaruk, WGM Irina Turova, and WGM Julia Demina for a round robin event from 11th to 20th of August. Round 1 started with a few surprises. Anastasia Bodnaruk defeated Peng Zhaoqin with white, while Ekaterina Atalik reminded for her golden ages from the European championships and defeated Viktorija Cmilyte to join Bodnaruk at the top. All other games finished draw. Tomorrow the round starts at 15:00 local time and the pairings are Peng – Cramling, Cmilyte – Arakhamia-Grant, Turova – Atalik, Demina – Zhukova, Bodnaruk – Paehtz. Here are short players presentations, more information can be found at the official website. Pia has been one of the strongest woman chess players for many years. She plays in men’s competitions successively, having won many games against strong men grandmasters. She was European champion in 2003, semifinalist of the World Championship 2008, and played for the Swedish national men’s team. It was the golden age of chess in Georgia when Ketevan’s career had begun. She became girls world champion, three times champion of Georgia, participated in the World Championship Candidate Tournament. After having settled in Scotland she gained four victories in the British Championships and the bronze medal of the European Championship 2001. She has an aggressive style of playing and always aims at extremely complicated positions. Elisabeth was the winner of the World Championship under 20 (2005), many times champion of Germany, the leader of the national team. Her extravagant appearance perfectly fits her lively, attacking style in chess! Viktorija manifested herself in her childhood by winning girls’ European Championship under 10 and World Championship under 12, and at 15 she already played the first board of the Lithuanian team at the Olympiad. Viktorija was twice men’s champion of Lithuania, two times European vice-champion (2003, 2008) and semifinalist of the World Championship 2006. Since 2006 she is playing for the St. Petersburg Chess Federation (former FINEC) team. Natalia was European and world girl champion, and after winning the national championship in 1996 she quickly entered women chess elite. She won the first European Championship (2000), “Northern Ural Cup” super-tournament (2003), the gold medal of the Chess Olympiad 2006 with the Ukrainian team. Playing for the St. Petersburg Chess Federation team since 2008. Many hopes were set on Ekaterina Polovnikova – 5 times Russia girl champion, European girl champion 1997. However, her best achievement came after she had become a Turkish citizen – a sensational victory at the women’s European Championship 2006. Solid opening repertoire and bright positional style was the foundation of this success. Zhaoqin is the Chinese by birth but lives in Netherlands since 1996. She was 7 times champion of this country and is the sure leader of the national team. She was the silver medalist of the European Championship 2004. Anastasia many times was a winner and a medalist of different ages girls’ championships of Russia, Europe and World, she was the third at the Superfinal of the Russian Women’s Championship 2008. Improving quickly, she moved from the perspective junior to the national team reserve, and it is not her limit. Playing for the SPCF team since 2009. Irina is the only participant who plays for our city team from the very beginning (2002). She became Russian champion under 20 at the age of only 13. Woman champion of Russia 2003, Irina celebrates her birthday on the opening day of the tournament. Julia was champion of Russia in 1995 and 1999, the medalist of national championships in 1989, 2001 and 2003. She was the winner of the international tournament in Biel 1989. Playing for the SPCF team since 2004.